I recently attended the Australian Residential Energy Rating Conference, held at the Melbourne Cricket Ground from 28th-29th May 2018. Organised by CSIRO with support from NatHERS, it’s been several years since a conference has been organised that’s been aimed primarily at residential energy assessors. In all honesty, the big draw card for attending the conference was being able to fulfil all of my continuing professional development (CPD) requirements for the year. There was also a part of me that wasn’t looking forward to the conference – residential energy assessments are just one small part of the building sustainability spectrum, and in my experience assessors have a tendency to focus on the esoteric details and minutiae. A conference focused exclusively on residential energy ratings could prove to be a very dry and uninteresting event. Thankfully, I was pleasantly surprised and more than happy to be proven wrong. 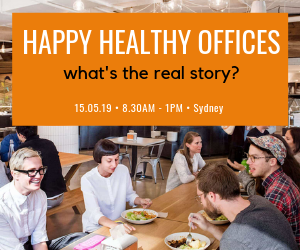 Hosted by the charismatic and knowledgeable Josh Byrne of Gardening Australia fame, the first day of the conference kicked off with a broad ranging discussion about the importance of energy efficiency in the residential building sector. Professor Tony Arnel provided some valuable context about Australia’s international standing with regards to greenhouse gas emissions (not great). This was followed by Alison Rowe from the Moreland Energy Foundation, who provided revealing insights into the financial and social impacts of energy poverty for low-income households. The morning session was concluded by Jack Noonan from the International Well Building Institute, looking at the overlap between energy efficiency and indoor health in the built environment. The second plenary session focussed on the economics and marketing of high-performance housing. Tim Adams of F2 Design showcased examples of homes he had designed with high energy star ratings and, rather amusingly, how to calculate the number of cats it takes to heat a building. Dr Georgia Warren-Myers from the University of Melbourne provided a synopsis of her research into the impact of mandatory disclosure upon houses rented and sold in the ACT (also covered in The Fifth Estate) – people are prepared to pay more for more energy efficient housing, but legislative loopholes mean inconsistent reporting of rental properties. The ardent Cecille Weldon concluded the session talking up how to market high performance housing, based around the 17 Things espoused by her Centre for Liveability Real Estate, now owned by CSIRO. The afternoon was made up of concurrent sessions focusing on different topics relating to energy-efficient and high-performance housing, ranging from upcoming NatHERS improvements, tropical and earth building, thermography and blower door testing. Of particular interest was a session hosted by the CSIRO – they’re about to release a publicly accessible database of insights generated from the universal certificates submitted for NatHERS assessments. Day 2 of the conference commenced with a spotlight on policy and regulation in relation to NatHERS and energy-efficient housing. Jodie Pipkorn from the federal Department of Environment and Energy provided an overview of the various policies under development. While there are various energy efficiency and household climate action strategies being worked on at both the state and federal level, its unlikely we will see anything implemented until at least 2022. Audrey Chen, senior project officer from the Australian Building Codes Board, outlined some of the anticipated changes coming in the NCC 2019 for energy efficiency, including tightened and expanded verification methods and improvements to the Deemed to Satisfy Elemental Provisions compliance pathway. The big change is the inclusion of heating and cooling load limits as part of a house energy rating, similar to BASIX in NSW. Vanessa Morris, building policy coordinator in the ACT Environment, Planning and Sustainable Development Directorate,presented on some lessons learnt about the implementation of mandatory disclosure in the ACT, now the world’s longest running mandatory disclosure program. The session finished with Eli Court from Climateworks discussing ASBEC’s “The Bottom Line” trajectory project, looking at the household impacts of delaying improved energy requirements in the Building Code. It comes as no surprise that ASBEC’s conclusion is that longer delays will mean greater costs for Australian households. The next plenary session looked at a number of case studies and design strategies for delivering high-performance dwellings. Brendan Condon from Australian Ecosystems started with a look at The Cape, a high performance housing estate situated at Cape Paterson in Victoria. Andy Marlow from the Australian Passive House Association spruiked the benefits of adopting a Passivehaus design approach towards delivering energy efficient, thermally comfortable buildings. Josh Byrne delivered an engaging presentation on his own 10-star NatHERS house in Hilton, Western Australia, the performance of which continues to be monitored as part of a CRC for Low Carbon Living research project. Peter Steele from HIP V. HYPE espoused an integrated, collaborative approach to designing high-performance multi-residential projects. Rochelle Phillis concluded the session talking about Mirvac’s latest initiative, “The House with No Bills”, where the Zimmerman family will live rent-free for a year in a prototype energy-efficient home in Cheltenham. The concurrent afternoon sessions including an overview of new and existing building energy analysis tools such as DesignBuilder, Fine4Rate and Ecologic, a panel discussion with various NatHERS experts including Tony Isaacs, Dr Dong Chen, Melanie Van See and Matthew Graham, and a session looking at the implementation of renewable energy and battery systems in new and existing homes. Curiously, despite the conference targeting residential energy assessors, better rating software was not considered a key part of the solution to improving the performance of Australian homes. Instead the results suggest that a focus on as-built implementation, household education and awareness may actually be the most effective strategies. 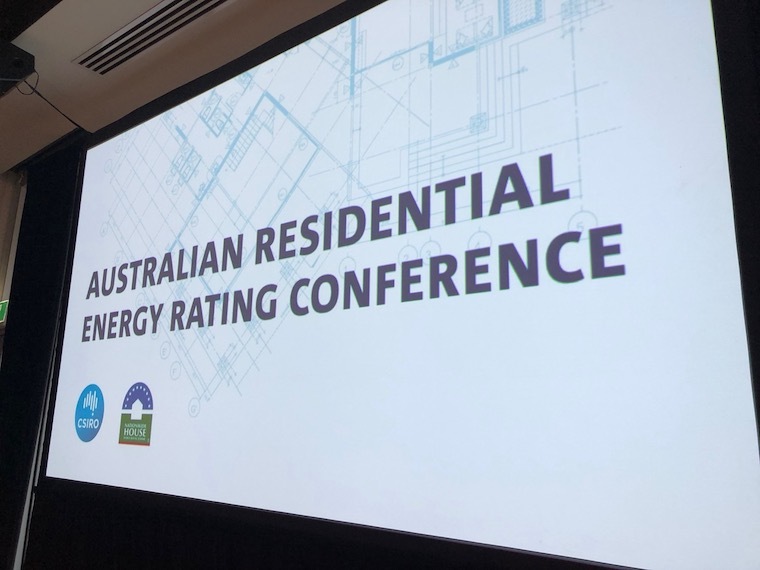 In the sometimes blinkered world of house energy ratings, the Australian Residential Energy Rating Conference represented a refreshing, diverse and engaging opportunity to discuss the issues and challenges of delivering higher performing, energy-efficient homes. There was sufficient technical detail for the boffins, while the bigger issues such as energy poverty, social impacts, and climate policy and regulation were also addressed. Given the prolonged dearth of genuine professional development opportunities for house energy rating assessors, hopefully this will be the first of more such conferences to come. Sid Thoo is an architect, consultant and educator. 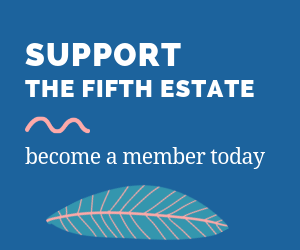 He is a Subject Matter Expert (SME) Network member on residential energy efficiency for the Australian Building Codes Board.